Throughout Pennsylvania, there are many historic ruins and abandoned places that remind us of our past. While many of these are on private property and sadly illegal to visit, others are open for the curious to either explore on their own or to take a guided tour through. Here are a few of my favorite ruins and abandoned places in Pennsylvania you can legally visit. Eastern State Penitentiary was abandoned for nearly two decades before it was opened for tours. Opened as a state-of-the-art prison in 1829, Eastern State Penitentiary in Philadelphia was the model for many future correctional facilities. The penitentiary was open until 1970 when it was closed in favor of more modern facilities. 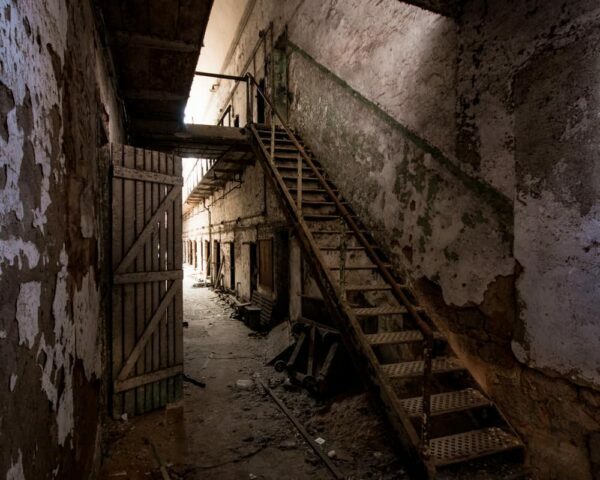 For the next two decades, the prison set abandoned until it was opened for limited tours in 1988. 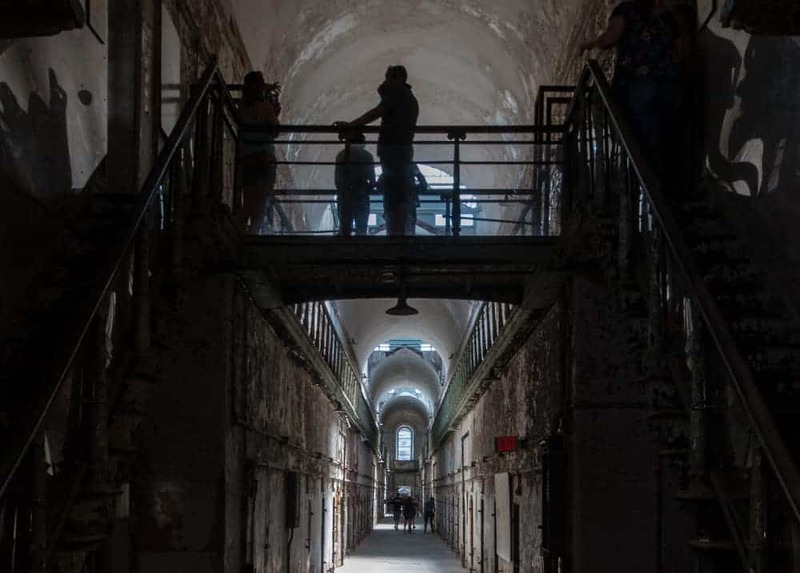 Since then, while portions of Eastern State Penitentiary have been cleaned up, the site is managed as a preserved ruin and is a fascinating place to explore. 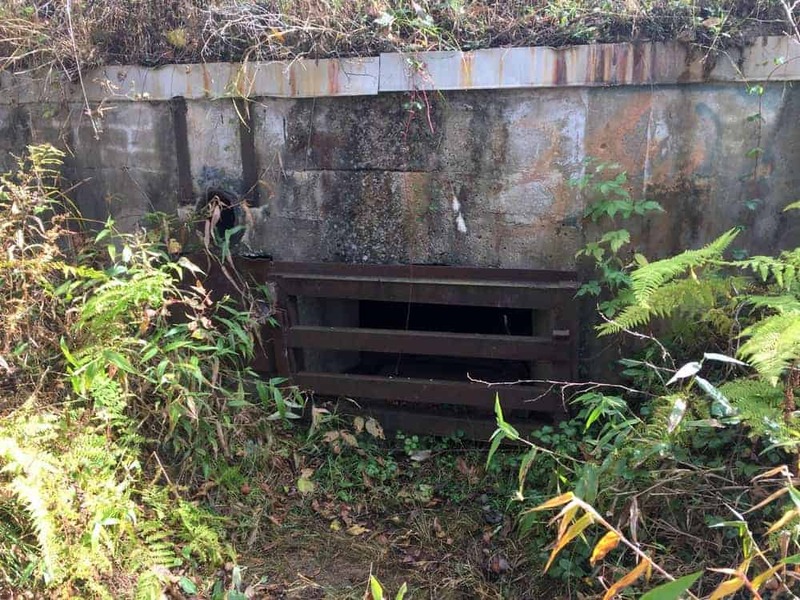 There are two tunnels that visitors can walk or bike through along the Abandoned Pennsylvania Turnpike. The Abandoned Pennsylvania Turnpike is a 13 mile stretch of roadway that was part of the original alignment of the PA Turnpike. However, when traffic necessitated upgrades to the roadway, this section of road and its two tunnels were bypassed. 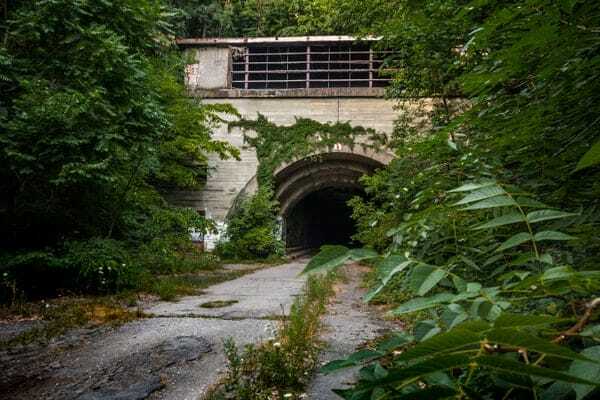 Today, visitors can walk or bike this section of roadway, passing through the two mile-long tunnels and exploring this post-apocalyptic site that is one of my favorite abandoned places in Pennsylvania. There are two access points for the turnpike: one near Breezewood and one in Fulton County. 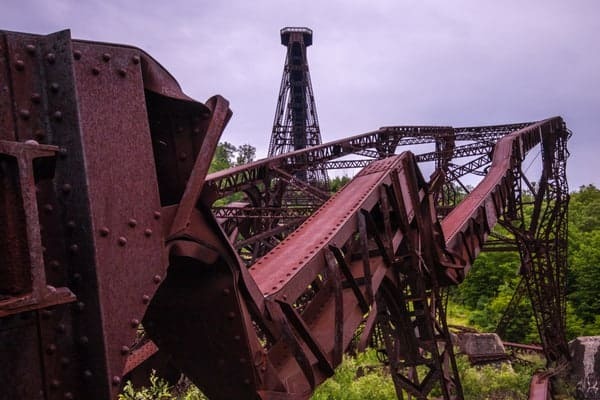 The once-abandoned Carrie Furnace is a must-see for history lovers and photographers. Carrie Furnace in Pittsburgh is nearly all that remains of the once massive Homestead Steel Works on the banks of the Monongahela River. Built in 1907, the two blast furnaces here were in nearly continuous operation until 1978. In 2010, the furnaces were opened for tours and offer a gritty look into how steel was made. 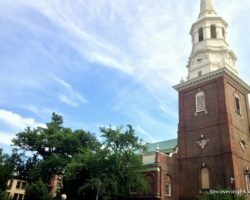 This is a fantastic spot for both history buffs and photographers to tour. The ruins of Austin Dam in Potter County. Austin Dam is located in rural Potter County, Pennsylvania. In 1911, the dam failed and the ensuing flood of water killed 78 people. The dam was later rebuilt, but failed again in 1942. Fortunately this time, no one was killed. After this second failure, Austin Dam was abandoned and left to crumble. Today, visitors can walk through the surrounding park, marvel at the size of Austin Dam and its crumbling ruins, and pay their respects to those killed here. 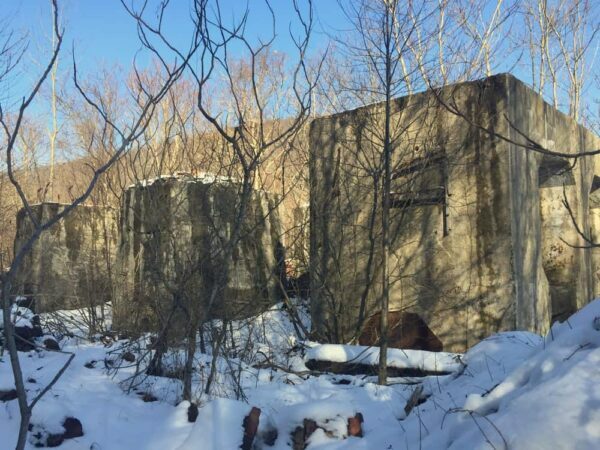 The remnants of the Quehanna Wild Area’s jet bunkers are barely visible above ground. One of the least known places on this list are the jet bunkers in the Quehanna Wild Area. 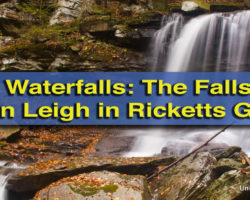 In the 1950s, the Curtiss-Wright Corporation obtained 51,000 acres of land in this remote area of Pennsylvania. They promptly fenced it off and built a nuclear reactor and several bunkers. These bunkers were used to test nuclear-powered jet engines as part of the government’s Atoms for Peace program. While the nuclear reactor was dismantled decades ago, the bunkers remain buried underground. While access is not permitted, it’s still possible to see the remnants of the bunkers from above ground and to peer into a few holes to catch a glimpse of these historic structures. 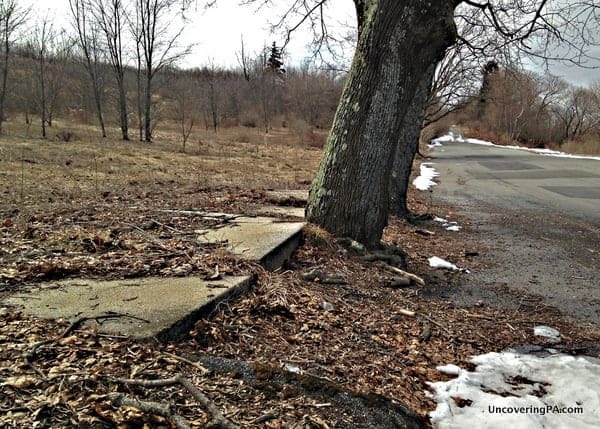 Abandoned sidewalks and other infrastructure can still be seen in Centralia, PA.
Centralia is possibly the most famous abandoned town in PA. The seam below this coal region town caught on fire in the early 1960s, which marked the beginning of the end for the community. Today, this once bustling borough is reduced to fewer than 10 residents. 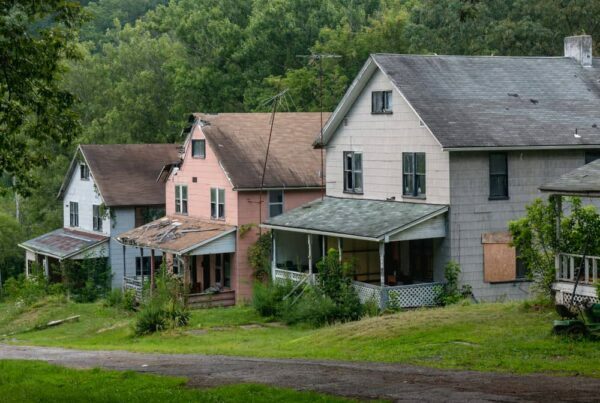 While most of the buildings have been torn down, its still fascinating to drive around the old streets and see the curbs, gutters, and stone steps that are surrounded by fields of forested land. The most popular spot at Centralia is Graffiti Highway, but access to this stretch of abandoned roadway is legally questionable. Driving on the public roads, however, is still fascinating. 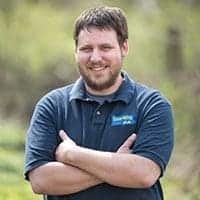 Mount Moriah Cemetery is on its way back from neglect, but still features a lot of interesting spots for those that love abandoned places in PA.
Philadelphia’s Mount Moriah Cemetery is one of the largest cemeteries in the country and the final resting place of up to 300,000 people. 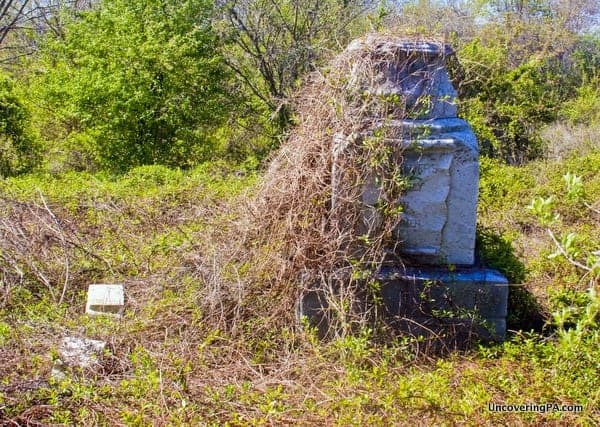 Sadly, years of neglect left this cemetery, which was first opened in 1855 and was once the site of Betsy Ross’ grave, overgrown and nearly unvisitable. Fortunately, thanks to a group of dedicated volunteers, Mount Moriah Cemetery is returning to its former glory. However, for those interested in abandoned places in Pennsylvania, Mount Moriah Cemetery still has corners that are quite overgrown. Looking up at the remains of Kinzua Bridge from amidst the ruins. When it was completed in 1882, the Kinzua Bridge was the largest and tallest bridge in the world. For over 100 years, trains used this viaduct to cross the valley more than 300 feet below. However, during repairs in 2003, a tornado swept through the valley. When it left, 60% of the bridge lay mangled on the valley floor. Today, the bridge is the central point of Kinzua Bridge State Park. 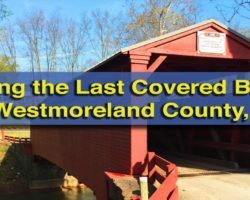 Visitors can walk out onto the remains of the bridge or walk to the valley floor for a close up look at the bridge’s remains, which still lay where they fell. Inside the old Lackawanna Coal Mine in Scranton. Northeastern Pennsylvania has a rich anthracite coal mining history, and no where is that better seen than on a tour of the Lackawanna Coal Mine in Scranton. This mine opened in 1860 and was actively mined until 1966. After being closed, the mine was abandoned for two decades before it was open for tours in 1985. 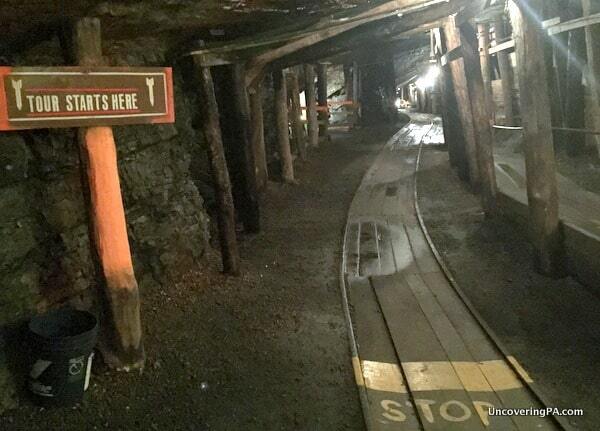 Today, visitors can go deep underground to see this once-active mine and learn more about coal mining. Located in Michaux State Forest, Camp Michaux is a former prison-of-war camp from World War II. Known as Pine Grove Furnace Prisoner of War Interrogation Camp, German and Japanese officers were brought here after being capture and interrogated. After the war, it became a church camp until the early 1970s. Since then, it’s been hidden away in the woods of this state forest. While little remains of the structures, it’s a fascinating spot for history lovers looking for great abandoned sites in Pennsylvania. Rusting oil equipment can be found all over Oil Creek State Park. Oil Creek State Park is known as the “Valley that Changed the World” and was the site of the world’s first commercial oil well. In the late 1800s, the area around Oil Creek was home to tens of thousands of prospectors hoping to strike it rich. While the industry is (mostly) long gone and natural beauty has once again returned to the park, there are still points of interest for those those that love abandoned spots. Near the park office once stood the community of Petroleum Centre, though all that remains are a set of steps that once led to the bank. 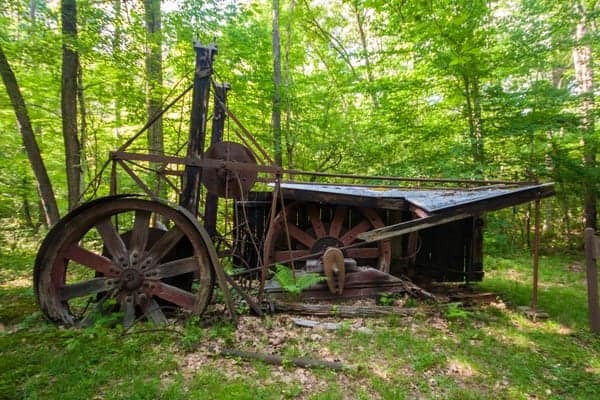 Other points of interest are scattered throughout the park, and it’s nearly impossible to hike a trail without seeing old, rusting oil equipment sitting in the forest. The Coplay Kilns are all that remains of a once massive cement factory. The Coplay Kilns are nine kilns that are the remnants of a large cement factory that was located on the outskirts of town. 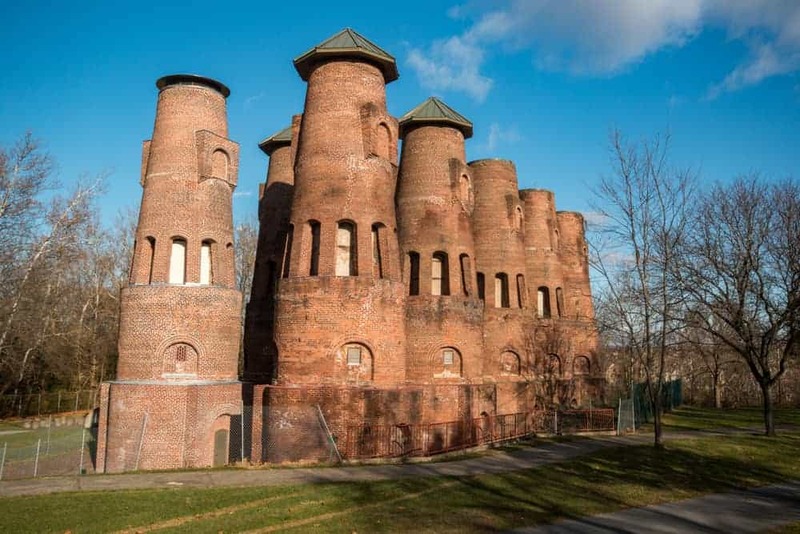 The Coplay Cement Company built the kilns in the early 1890s, and they were in use until 1904. Today, the kilns sit in the middle of a park in Lehigh County, Pennsylvania. While access to the kilns is limited by a fence, it’s still fun to walk around them, and look at these beautiful ruins. Located on state game lands a short distance south of Williamsport are the Bunkers of Alvira. 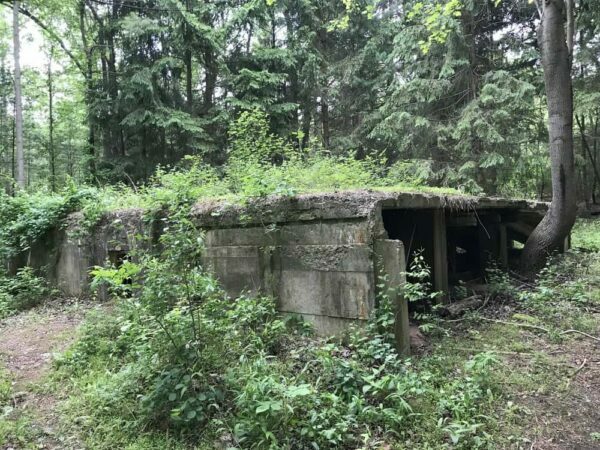 These bunkers were built to house explosive munitions as part of the Susquehanna Ordnance Depot. The depot was built on land that was once the town of Alvira before it was seized by the government for the depot. Today, the bunkers are overgrown and hidden away in the woods of State Game Lands 252. While many are welded shut, a few are open. If you opt to go in, use extreme caution as there’s no telling what else might be inside. Yellow Dog Village is an abandoned company town in western Pennsylvania. Yellow Dog Village is a former company town in Armstrong County, Pennsylvania. The buildings were built in the 1920s and 1930s for workers at the nearby limestone mine. The homes were lived in continuously until just a few years ago. Sadly, the homes were left abandoned for over a decade and are now in a state of disrepair. Fortunately, however, the current owner is trying to refurbish the homes and turn them into a period homestay. While the property is typically closed to the public, the owner often lets visitors roam around with prior permission. The ruins of the Bethlehem Steel Stacks. The Bethlehem Steel Stacks in the Lehigh Valley are one of the most impressive abandoned places in Pennsylvania. Constructed in 1915, this series of five blast furnaces was part of the large steel mill here in Bethlehem. 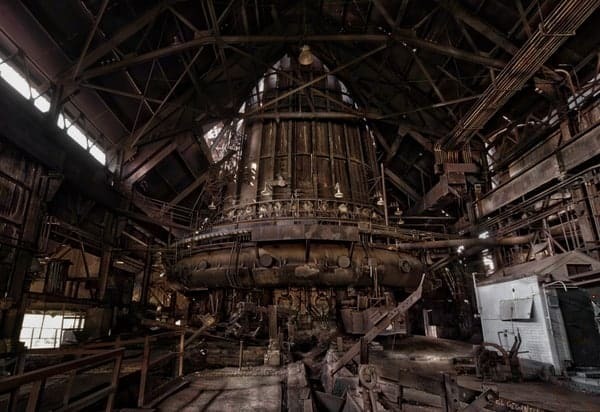 After being closed in 1955, the Steel Stacks were abandoned for many years. Today, they are part of an entertainment complex, but still provide a lot of interest for lovers of abandoned industrial sites. 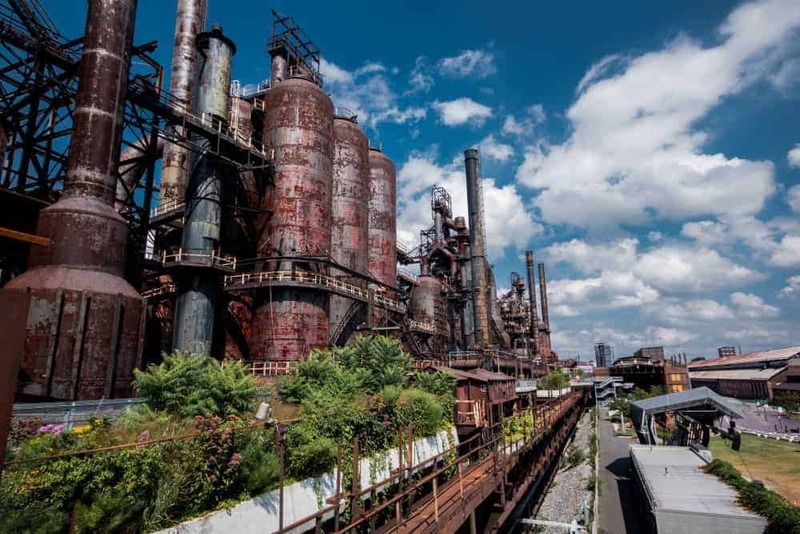 While you can’t go into the furnaces, an elevated walkway allows visitors to get a close up look at these blast furnaces and peer inside their rusty confines. Located in southwestern Pennsylvania, Linn Run State Park is home to the beautiful ruins of a hunting lodge. To be honest, very little is known about the origins of this ruin, but it’s still a lot of fun to explore the stone shell of this building. Reaching the lodge is quite easy along the Flat Rock Trail, which offers a lot of beauty in addition to this abandoned site. An abandoned beach area on Pymatuning Lake in Crawford County. 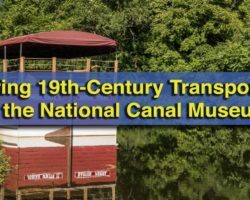 Pymatuning State Park in northwestern Pennsylvania is a sprawling park around one of the most scenic lakes in Pennsylvania. However, due to budget issues, an entire developed area of the park has become abandoned. 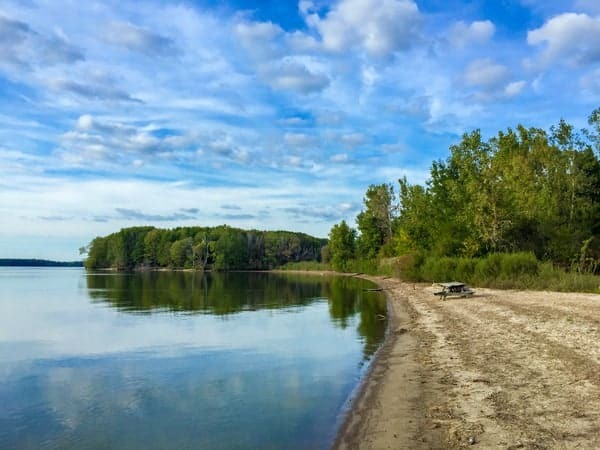 Known as Tuttle Park, visitors here can walk through an abandoned campground, explore the outside of abandoned buildings, and visit a forgotten beach. A variety of hiking trails allow access to this corner of the park, and it’s been possible in the past to drive to within steps of the abandoned beach. Rockland Furnace almost looks like an ancient ruin. Pennsylvania has dozens of historic iron furnaces. 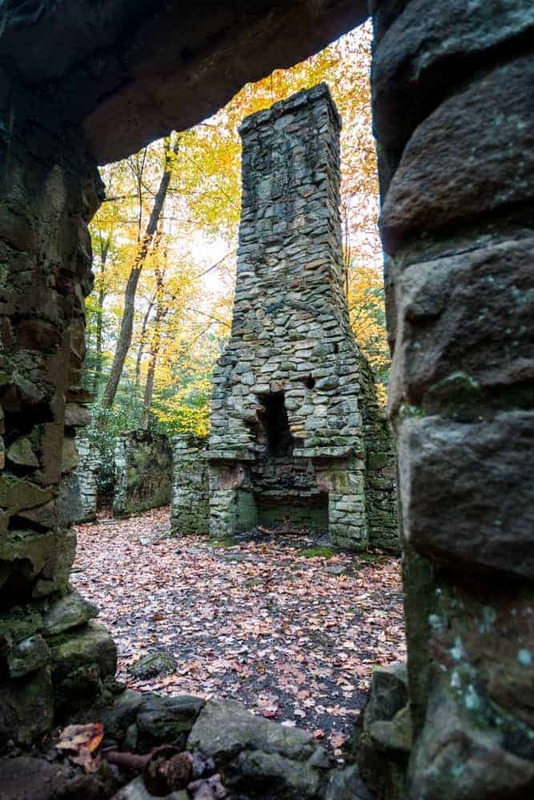 However, few have been left alone in the middle of nature like Rockland Furnace. Located in Venango County, the furnace sits about a hundred yards downstream of Freedom Falls. Rockland Furnace dates to 1832 and was in operation until 1854. Today, it sits abandoned in the woods just waiting for people to come and explore it. Inside the once-abandoned Pioneer Tunnel Coal Mine. 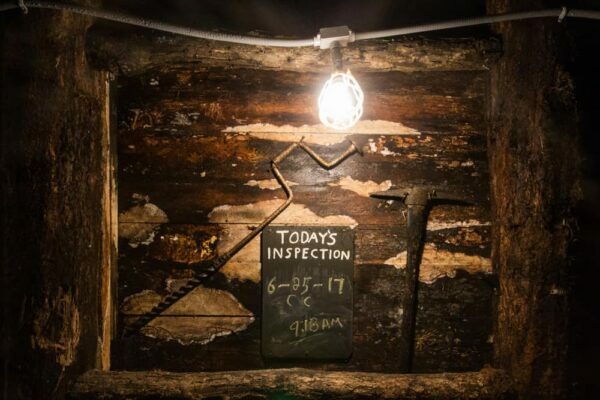 Located just a few miles from Centralia, Pioneer Tunnel Coal Mine is a once-abandoned mine in the heart of Pennsylvania’s coal region. From 1911-1931, this mine operated on the outskirts of Ashland, PA. When the mine closed in the early 1930s, it was thought to be a temporary closure, so all the equipment was placed inside the mine before it was closed. However, the mine never again reopened as an active coal mine. Fortunately, a group of local residents decided to open this abandoned mine to tours in 1962. Since the mine was closed with the plan of reopening, much of the original mine equipment is still present. 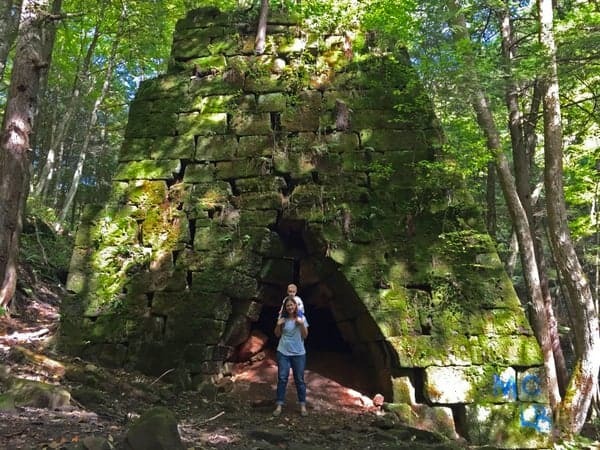 The ruins in State Game Lands 264 are fun to explore. Hidden away in northern Dauphin County’s State Game Lands 264 is the ruins of a complex of buildings. To be perfectly honest, I don’t know what the ruins are of, but I’d guess a factory of some sort. It could also be related to mining due to the current water treatment that’s going on at the site. 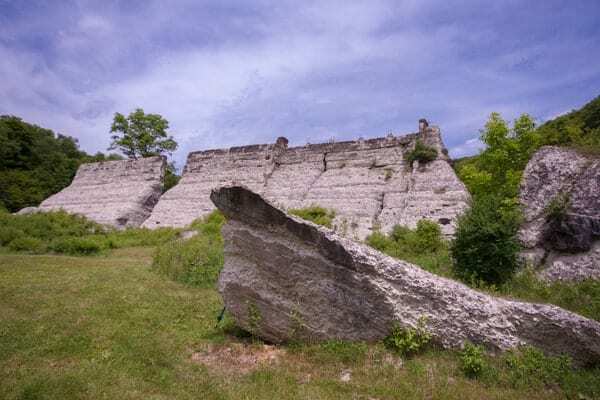 Nevertheless, all that is left is the stone walls of several large buildings, which are a lot of fun to explore while visiting this preserved area near Wiconisco, PA. Downtown Scranton is home to four of the best preserved iron furnaces in Pennsylvania. The Scranton Iron Furnaces were built in the 1850s and in operation until the early 1900s. While visitors aren’t allowed to go inside the iron furnaces, it’s fascinating to walk around the outside and to look down into them from above while imagining how they helped shape America. 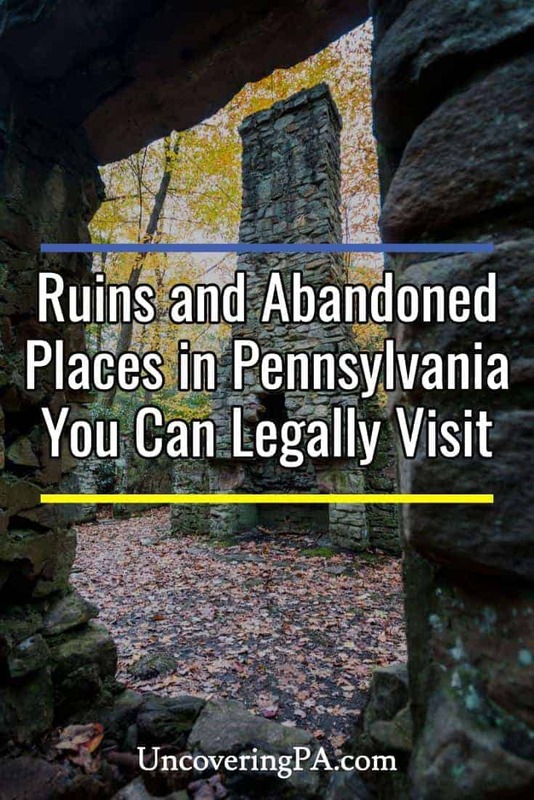 Do you have a favorite ruin or abandoned place in Pennsylvania that you can legally explore and wasn’t on this list? Let us know in the comments below. Would like to see a photo of the old carbon county switch back and trail it was used for. All I know about it is, it ran from down town to up over the hill behind the school in upper Jim Thorpe.